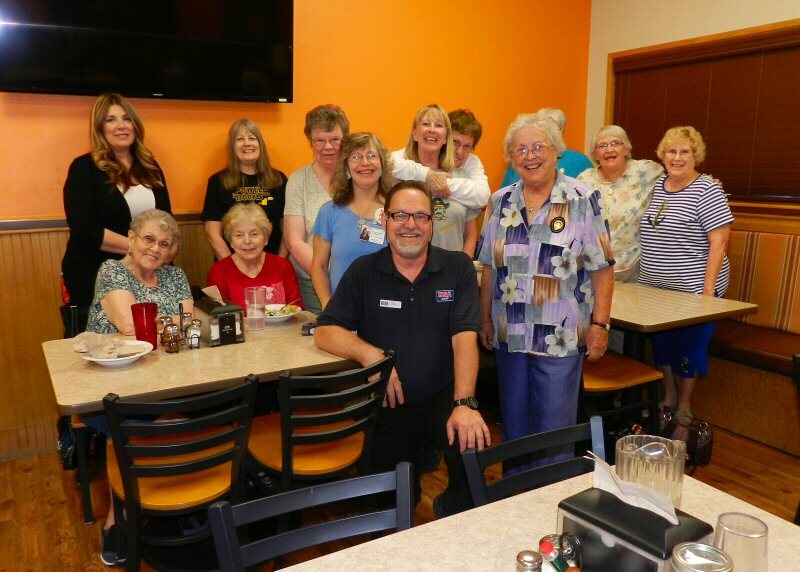 Ralph Freitas and Mary Frances Unterreiner came to the May 24 meeting of the Soroptomist International Club of Burney Fall River to speak about their campaign for 2017 Honorary Mayor of Burney and the charities they are raising money for. Freitas is campaigning for Make a Wish Foundation (Shasta County). He has been contributing to that charity for years. His campaign theme for Burney is that he wants to improve the local parks. He discussed lighting the skateboard area in Bailey Park and needed improvements for Washburn Park. Ralph’s comments on the parks struck a chord and stimulated a number of comments and questions. Washburn and Civic Park are owned by the Burney Water District. Bailey Park is owned by TriCounties Network. All are in need of maintenance and improvement. The Burney Lions have been helping to maintain Civic Park and the Little League has been using and maintaining Washburn Park to some degree. There has been some discussion in the past about combining all three parks and the Raymond H. Berry Community Pool under the Parks and Recreation authority of the Burney Water District. However, there are some questions and potential problems in doing so. At a meeting last summer, the Burney Water District proposed that a community meeting be held where parents, organizations, businesses, and other interested stakeholders could discuss options and devise a common course of action. Freitas has been exploring the issue and wants do whatever he can to facilitate improvement. Unterreiner spoke about the multifaceted help provided by St. Vincent de Paul to the less fortunate. St. Vincent de Paul operates under the aegis of St. Francis Assissi Church. It not only provides food and clothing to those in need, but also helps stranded motorists who call and donates money to several local charities. Mary talked about how much she has enjoyed meeting people as she has been campaigning for mayor. Seven candidates are running for Honorary Mayor this year. The Soroptomists sent all of the candidates a beautiful invitation to the lunch meeting. Five of the candidates were unable to attend for various reasons. In addition to Freitas and Unterreiner the other candidates are Anna Denny, for Burney Sober Grad Night; Jill Daugherty, for Burney Citizens Patrol; James Glaser, for Boy Scout Troop 38; Dana Hauge, for Burney 4-H; and Shaylene Herndon, for Tri Counties Community Network. Freitas and Unterreiner both said how impressed they are at how wonderful all of the candidates are. In other business it was announced that S-Club will be having a float in the Burney Basin Days Parade this year. The Soroptomists will also be hosting a Craft Fair on Saturday July 1 and Sunday July 2 as part of Burney Basin Days.